The Redwing Roundup, a podcast created by the Broadcasting Club this May, is back for the new school year. 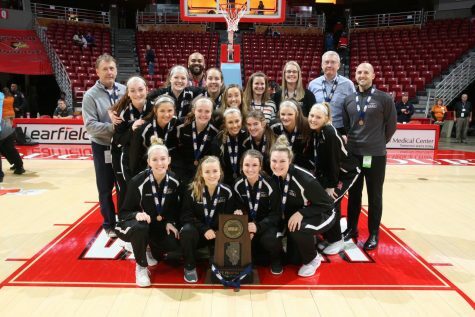 The show dives into all things Benet, and it features discussions and interviews about sports, fine arts, news, clubs, and music from the school band and choirs. The podcast is run by members of the Broadcasting Club: seniors Ethan Ferguson, Nick Magas, Pat Malec, Greta Maras, Jack McGrath, Jacob Infante, Ian Smith, Maeve Scheltens, and Megan Sluzas. Any students interested in participating in the next episode of Redwing Roundup can contact Jack McGrath. The second-ever episode of Redwing Roundup features interviews with golf team member Phil Heidkamp, marching band drum major Cara Gould, and the football team’s running back Ben Hickey. 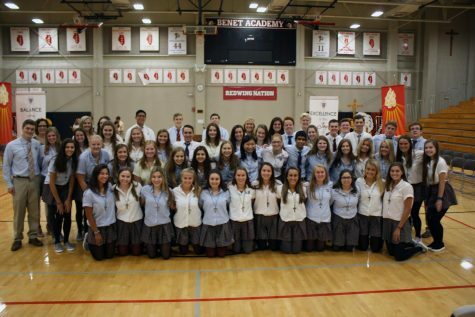 Make sure to tune in for the latest around Benet Academy!